Colleen’s old friend Tim and his wife Di from England stopped by on one of their visits to South Africa. 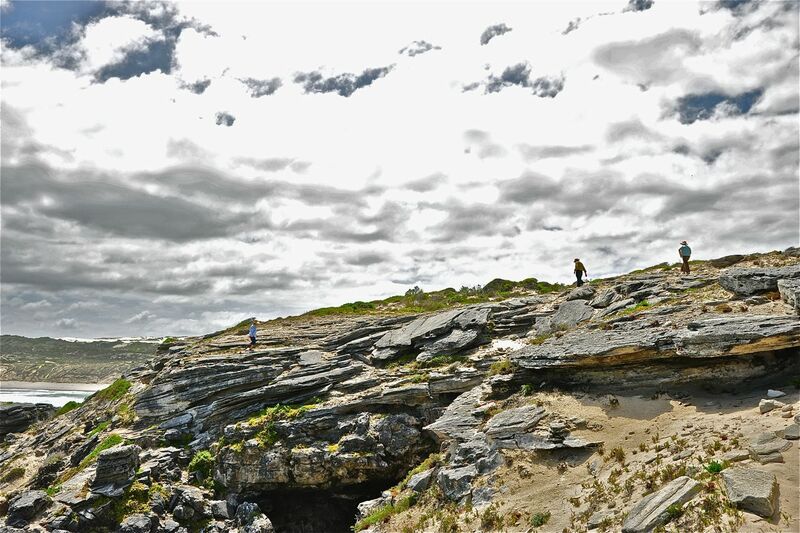 They are always keen on all aspects of South African history – last time we explored Genadendaal, which to their and our surprise they hadn’t heard of – and this time we thought we should delve a little deeper into history with a visit to an excavation site at Die Kelders near Gansbaai. 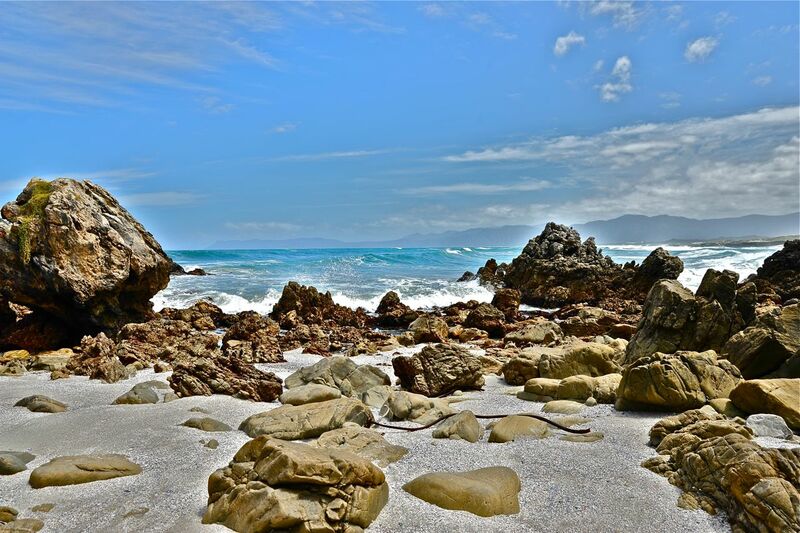 Apart from it’s controversial shark cage diving attraction – Gansbaai (“Bay of Geese”) is also known for its excellent whale watching sites and behold, a number of these formidable creatures delighted our guests. We had arranged for a guide, we thought, but eventually ventured on to find the way to the excavation site on our own, quite precipitous and not without challenge but our guests were in good form and we felt secure enough for this little adventure. 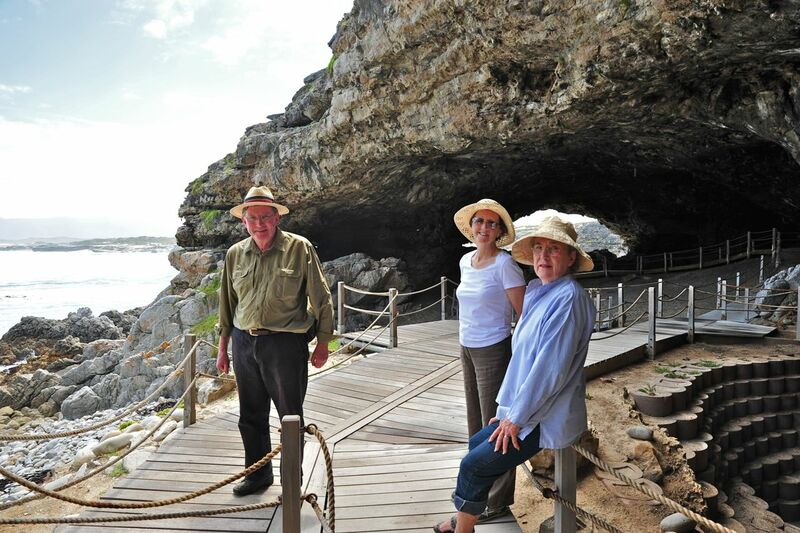 We had visited the caves some ten years ago and vaguely remembered the pathway. 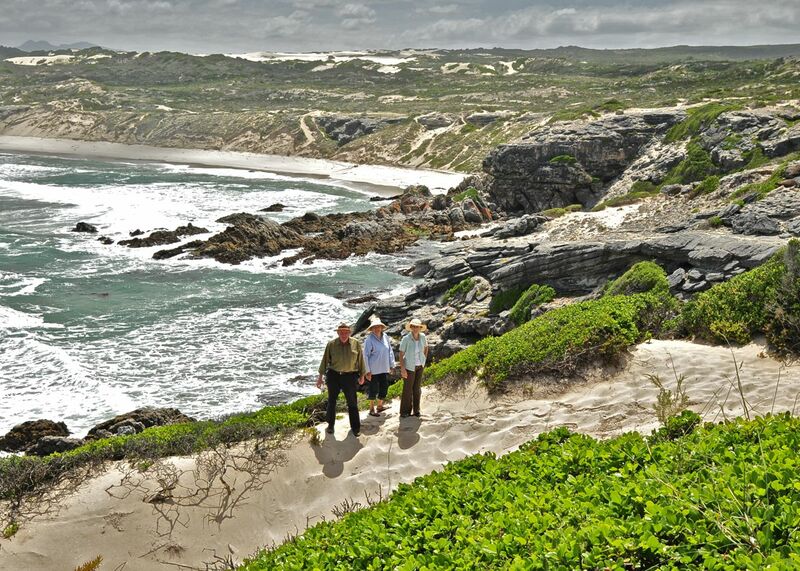 This part of the Cape coast, at Danger Point near Gansbaai, is also known as the site where the troop ship “HMS Birkenhead” foundered on submerged rocks in 1852. Only 193 of the 643 people on board survived, and the soldiers’ chivalry gave rise to the “women and children first” protocol when abandoning ship. 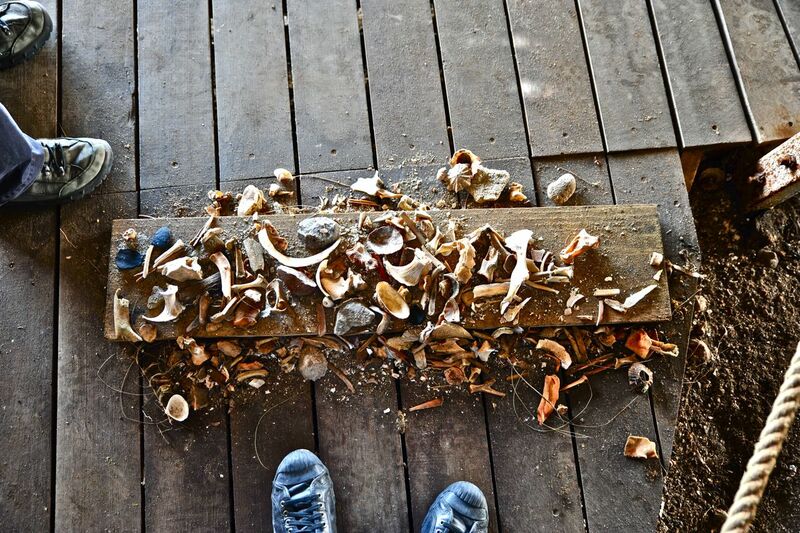 There are 140 known shipwrecks between Danger Point and Cape Infanta. Searching for our ancestor’s cave. 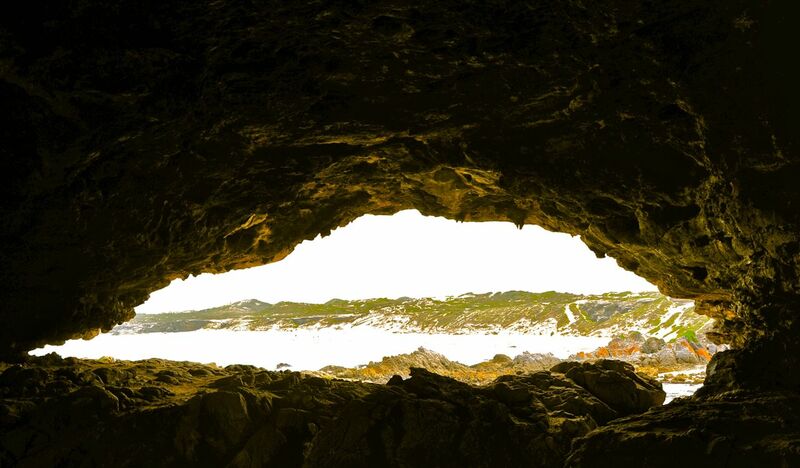 “Klipgat” (Stone hole) cave on the coast at Die Kelders near Gansbaai (Bay of Geese). 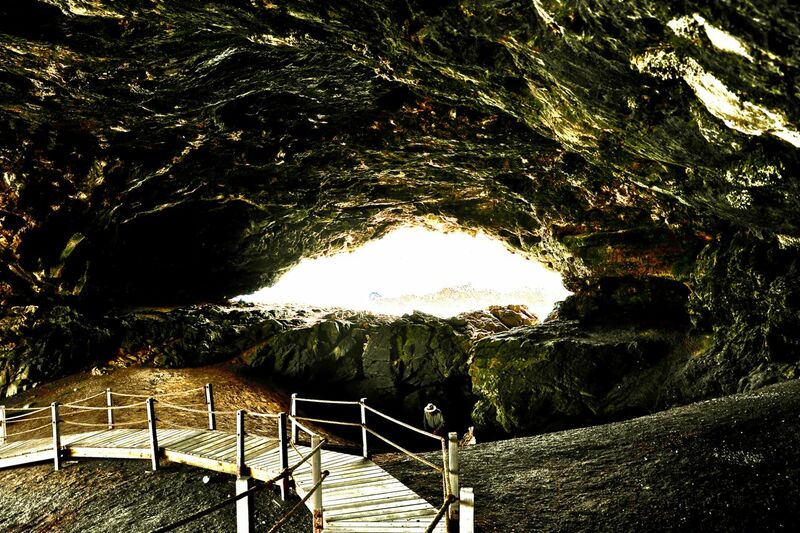 The cave was originally a subterranean cavity, like the Cango Caves, formed millions of years ago. 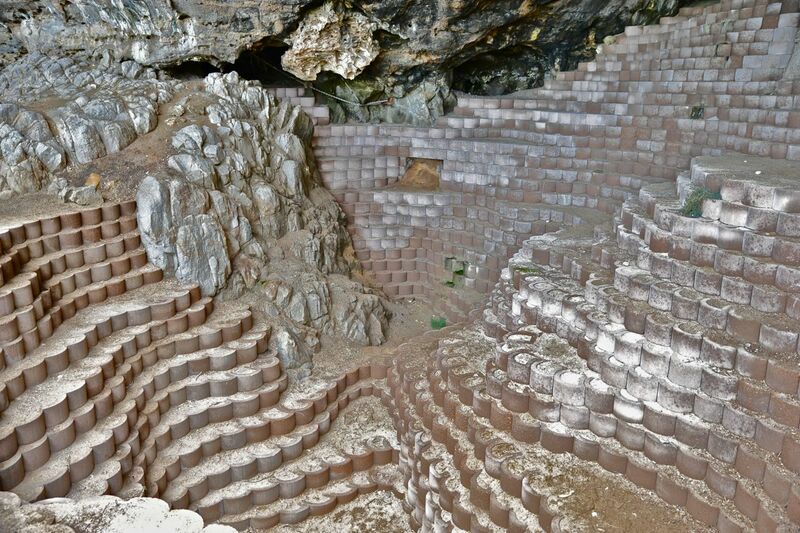 Much later, a rising sea level cut an opening into the roof and sides of the present cave. Strategic view of the beach. The seashore was at least 10 km further out to sea during the last glacial period within the present Ice Age, 110 000 to 10 000 years ago. The excavation site secured. Lower, middle and upper middle stone age levels containing beautifully preserved bone food remains left there by Middle Stone age (MSA) people some 40 000 to 80 000 years ago and some human teeth. This reveals the importance of the site as a source of information on early human (homo sapiens) physical, technological, cultural and socio-economic development. The site was excavated in the 90s by a team of American and South African archaeologist and there are plans afoot to make this site more attractive to visitors. Having left the African continent hundreds of thousands of years ago here we are returning to a place of our early ancestors. 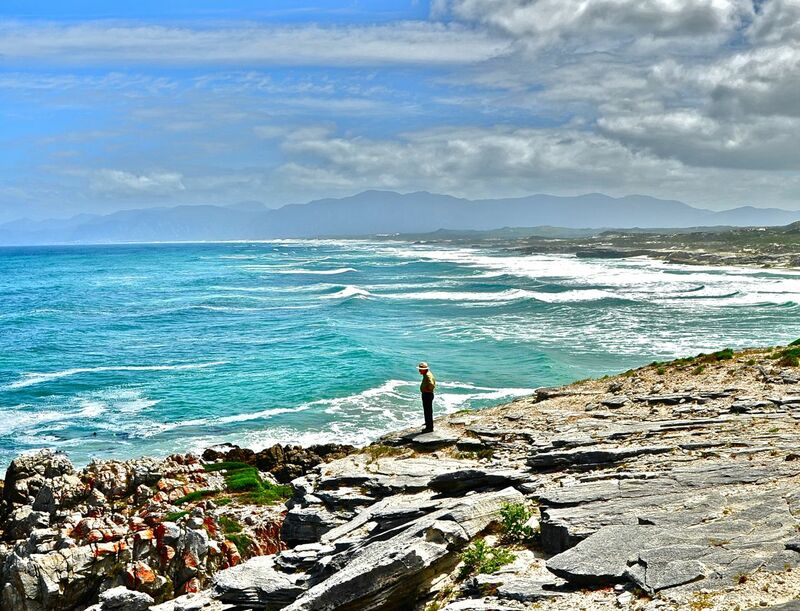 Stepping out from the cave at mid-tide looking toward Hermanus. Pondering history – the fate of our forbears. Walker Bay toward the villages of Stanford and Hermanus. All of a sudden I feel Neanderthal!